At the beginning of the year I went to London to shoot two portraits for Harper's Bazaar Arabia's Best Dressed editorial. The first was of Amina Muaddi, co-founder and creative director of Oscar Tiye. 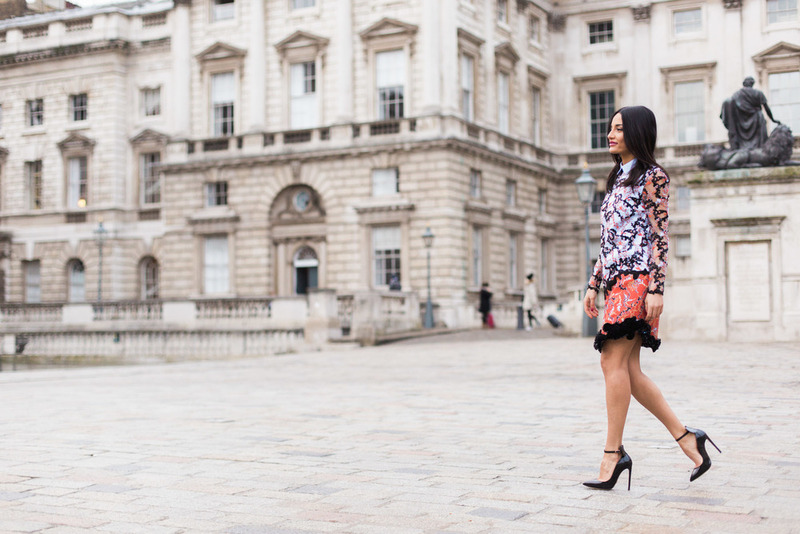 The shoot was at Somerset House which is one of my favourite places to shoot. The light is always beautiful there because the walls act like huge softboxes bouncing light all around. However because it was winter, it was freezing and raining! Thankfully Amina was an absolute trooper and we managed to shoot this really quickly, ducking under cover when the rain was too much. I shot this all with natural light and swapped between my Canon 50mm f1.4 lens and my 85mm f1.8. I always shoot very wide open to give a beautiful blurred background and really focus on the subject. After the shoot I did some minimal editing to the photos, increasing the contrast and the warmth in Lightroom mainly to make this feel a bit more summery. It was for Harper's Bazaar Arabia after all! Below are some outtakes from the shoot and you can see the final image in the magazine here.